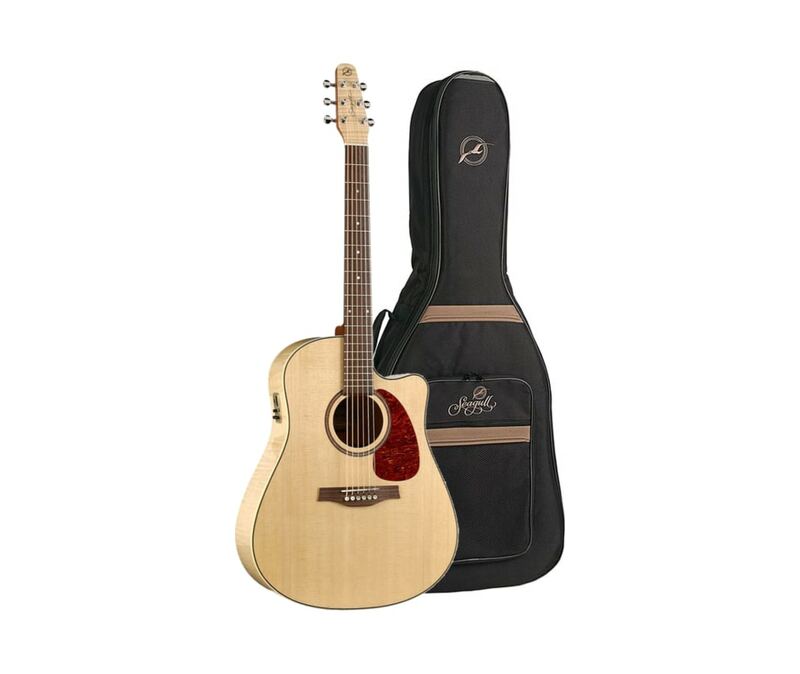 The Seagull Performer QI acoustic-electric guitar features a 3-layer hardwood laminated body and a solid spruce top for a superb blend of rich tones. The guitar also has an integrated set neck joint and, Indian rosewood fretboard and bridge, and a Quantum I pickup for a great plugged-in experience. In the Seagull Performer's design the top is arched slightly in the area above the sound hole and levels out in the area around the bridge. The compound curve top produces excellent stability in the upper part of the guitar top and the power and projection made possible by leaving the top flat below the sound hole flat. With the weak area above the sound hole stabilized, it is possible to make the rest of the top even more active with a new bracing design that allows unprecedented control over the top vibration. The bracing for the Seagull Performer Cutaway Flame Maple High-Gloss QI Guitar is quarter-sawn spruce, scalloped and carved to conform exactly to the curvature of the tops.